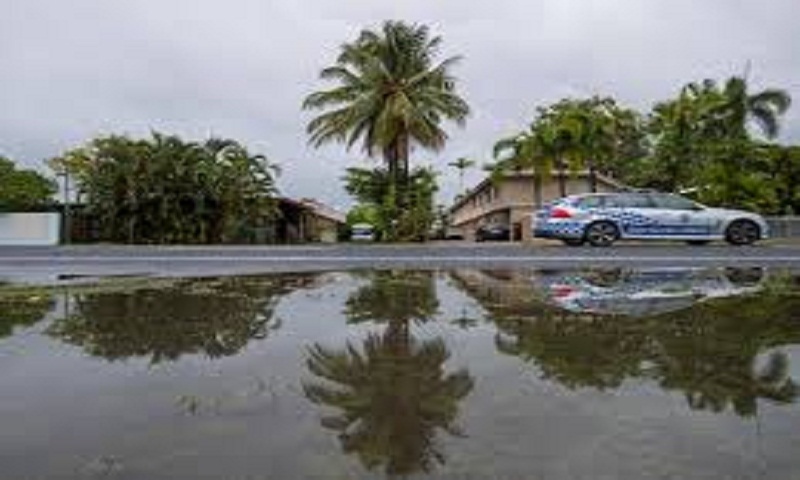 A cyclone that was predicted to wreak havoc across Queensland has been downgraded to a tropical low, after unleashing 17cm (6.6in) of rain in two hours across the north of the state. Authorities warn that Cyclone Owen could still reform offshore on Monday. Severe weather and flood warnings are in place. Owen hit land as a category 3 cyclone at around 03:00 on Saturday (17:00 Friday GMT), 70km (43 miles) from Kowanyama. "We were right in the bullseye but then it dipped and went south," the town's Mayor Michael Yam said. "There's no structural damage, a little debris, we're all good and in one piece." The cyclone's 120km/h (74mph) winds weakened as it moved south-east. Queensland's Emergency Service received 400 calls for help over Friday night, according to local outlet News.com. Rescue services are warning that heavy rainfall and flash floods could still follow between now and Tuesday. "Please do not be complacent, particularly in that northeast tropics area where the rains will continue," Queensland Fire and Emergency Services commissioner Katarina Carroll said. The weather system is expected to reach the North Queensland towns of Ingham and Innisfail by early Sunday. Meteorologists predict it will move back out over water before tracking down the state's east coast. Australia frequently experiences extreme weather, with flash floods, sandstorms and droughts in some areas. Last month, Queensland was hit by destructive bushfires which forced the evacuation of thousands of people.